Mike Barnett was the ClefWorks 2007 Composition Competition winner with his original score, Ask the Wind, which dèbuted during the ClefWorks Premiere Season by pianist Jihye Chang, violinist Benjamin Sung and cellist Hrant Parsamian. 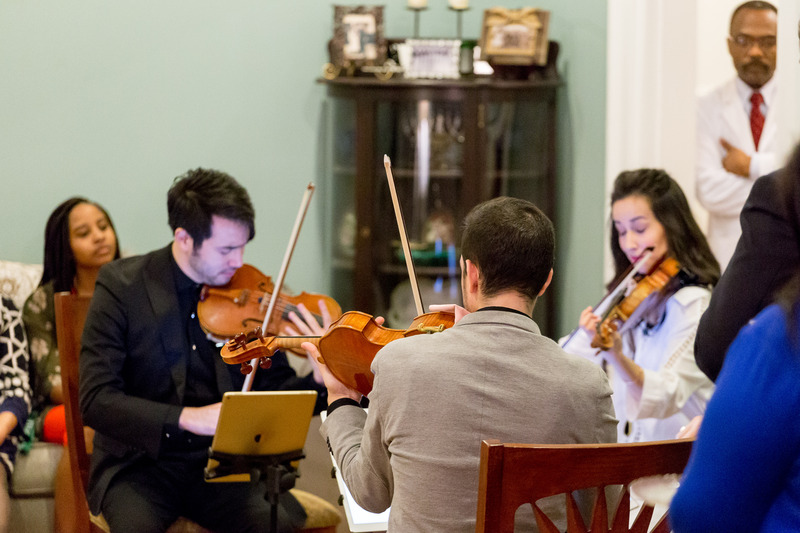 The impressive work has since been performed at Carnegie Hall by the Clavier Trio. From composer to heavy metal drummer to recording artist to educator and even orchestral violist, the eclectic and colorful career of Mike Barnett has transcended the boundaries of the traditional contemporary musician. In 1988 Mike formed the now legendary Pittsburgh-based metal ensemble, Phantom Crew. Over the next twelve years the band would go on to record seven albums, compose hundreds of songs and perform at countless venues throughout the eastern United States. Mike eventually pursued formal composition training and ultimately earned a Master of Arts degree in Music Composition, from the Indiana University of Pennsylvania where he studied with Daniel Perlongo and Erik Santos. In 2004, Mike earned the Doctor of Musical Arts degree in Composition from the University of Colorado at Boulder where he studied with Richard Toensing, Luis Gonzalez, John Drumheller, Michael Theodore and Andrew May. Mike works as a composer, studio drummer and private composition instructor. He is also the drummer for the renowned Hollywood heavy metal band, Throttle. His music has been performed around the world by such prominent musicians as David Korevaar, Alexa Still, Michael Thornton, Erika Eckert, Stanley Chepaitis and Dieter Wulfhorst and major ensembles including the Ives String Quartet, the Vinca String Quartet and the Kiev Philharmonic.